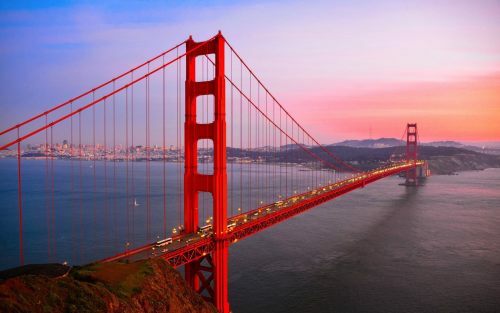 Air Canada Rouge has dropped the price of their non-stop flights from Vancouver to San Francisco, California down to $255 CAD roundtrip including taxes. 3. The price will come up as $188 USD roundtrip including taxes on Priceline which will work out to $255 CAD, when booked with a Canadian credit card, after factoring in the exchange rate and credit card foreign currency fee. vancouver, yvr, flight deals, california, united states, san francisco, sfo, north america and air canada rouge. 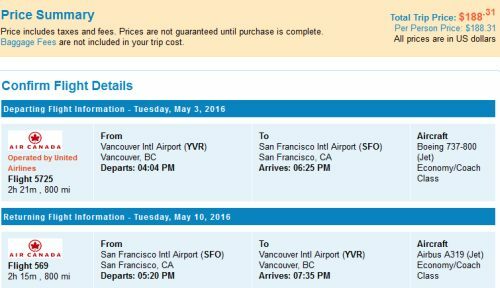 One Response to "Vancouver to San Francisco, California - $255 CAD roundtrip including taxes | non-stop flights"
I tried May 18 to May 24 and am getting about $192 round trip. Not bad - directly from Air Canada website they are coming in at about $280 CDN so not far off.